A tepid House resolution that even the hate-mongering congressman backed is insufficient. The chamber needs to clearly and unequivocally censure King for his scorching bigotry. The House resolution addressing Iowa Republican Representative Steve King’s blatant racism was so obscure in its language and construction that even King himself voted for it. Referencing remarks the xenophobic congressman made last week to The New York Times, the resolution suggested that the House “once again rejects White nationalism and White supremacy as hateful expressions of intolerance that are contradictory to the values that define the people of the United States.” But it did not even mention King by name. That made it possible for King, a political careerist who is struggling to preserve his position, to join 423 colleagues in voting for the measure. Just one House member voted no—US Representative Bobby Rush, an Illinois Democrat who has been organizing against racism since his days as a Student Nonviolent Coordinating Committee activist more than 50 years ago, objected. “It is not strong enough. We need to censure Steve King,” explained Rush. 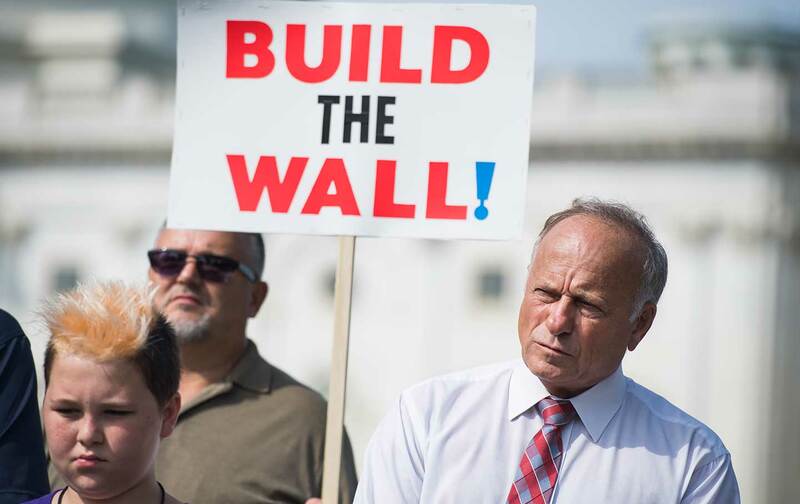 Rush has authored a proper censure resolution, which details a long list of instances in which the Iowa congressman has expressed crudely racist and xenophobic anti-immigrant, anti-refugee, and anti-Muslim sentiments. The House has a duty to call King to account, says the Illinoisan, who proposes to make the Iowan the 24th member in the history of the chamber to be censured.